May God Bless you with Hope to live! May God Bless you with Joy to share! May God Bless you with Live in peace! May God Bless you with Sweet dreams! May God Bless you with Kindness to care! May God Bless you with Beauty and long-life! May God Bless you with a Spouse to love you! May God Bless you with a cheerful heart to give! May God Bless you with a Shelter to protect you! 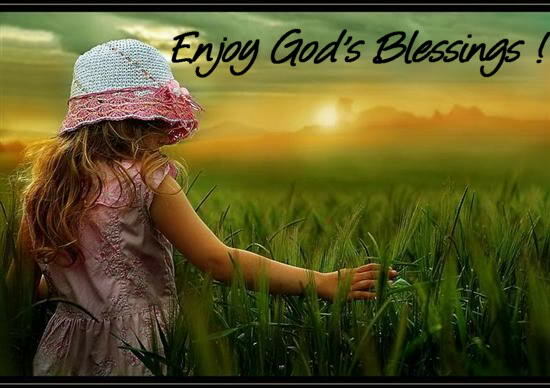 May God Bless you with every Good things in life! May God Bless you with Food and Water to fill you! May God Bless you with a Family to be proud of you! May God Bless you with people to share love and charity! May God Bless you with Smiles to cheer you on days you feel alone!